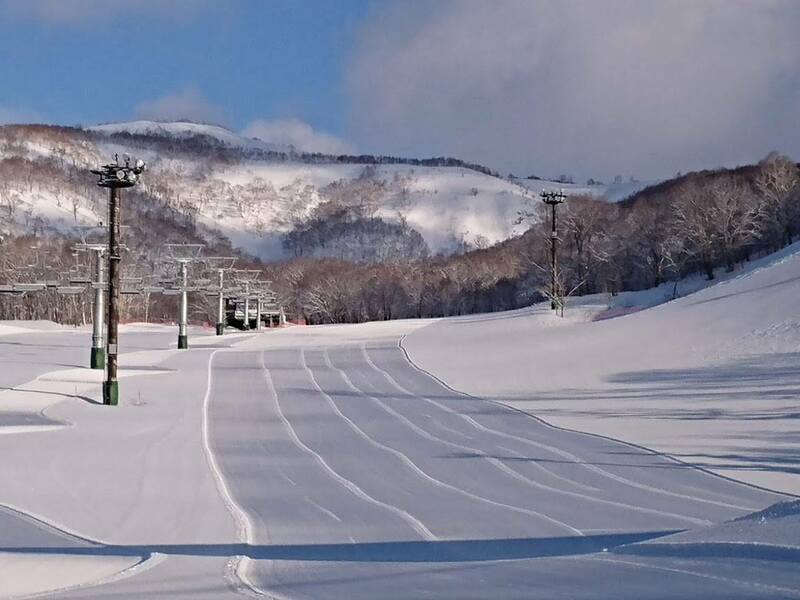 Visitors lucky enough to be in Niseko now are enjoying quite a rare occurrence – powder days in April and incredible winter-like skiing. While December, January and February is our “deep winter” powder season, March and April are very much spring. We usually enjoy the best of both worlds in March – warmer weather and more blue-sky days, however there are also generally a handful or more powder days. In April we generally only get one or two light snowfalls, if any. However this has been quite a topsy-turvy season, and we experienced a snow drought for the last half of February, and while we got plenty of sunshine and warmer weather in March, we didn’t get any of our cherished spring powder days. 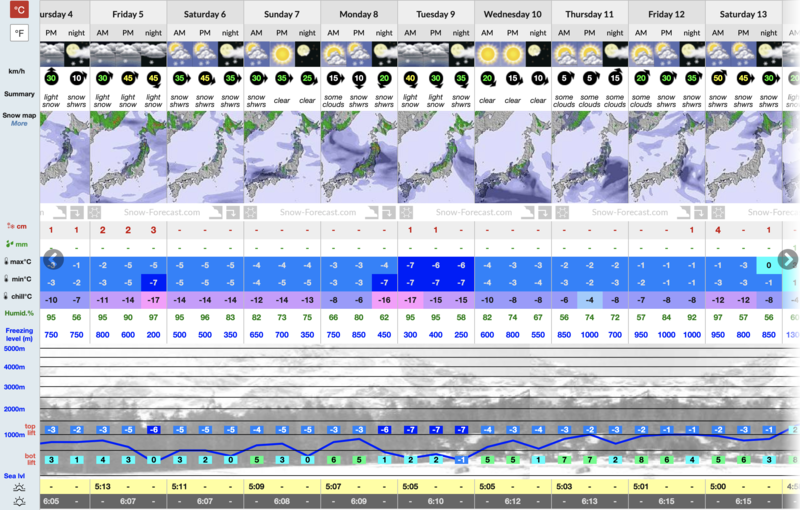 For the whole of March this year Grand Hirafu recorded a total of only 90cm at 1000m elevation – over the past five years March averaged about double that. For the first three days of April it has already recorded 25cm for this month, and there is a good chance we will see more with computer models forecasting snow for several days over the coming two weeks (see forecast below – red numbers represent centimetres of snow). The resort will be open for several weeks to come yet – the official closing date May 6, however if the snow pack melts too much it may close earlier than that. If all this talk has you hankering for a last minute trip over Easter or Songkran holidays, best book now! We can’t guarantee powder, but then again in this topsy turvy season, who knows!? Can’t make it this winter? Start planning for next winter here.